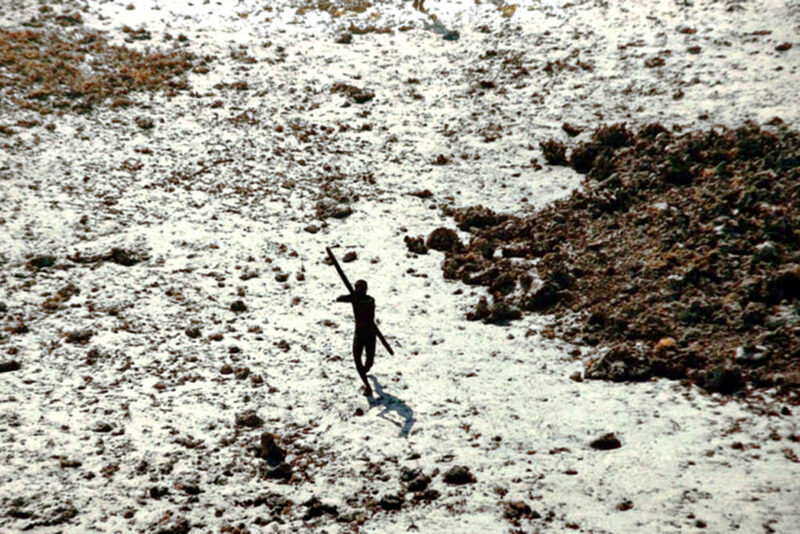 A man defending his place, a small island named North Sentinel Island, Andaman Islands, Bay of Bengal, India. On this small remote island live about 150 indigenous people that refuse to have any contact with other humans. Every attempt to set foot on the soil of this island results in failure and the death of the intruder. This photo was taken just after the 2004 tsunami that ravaged the Indian Ocean. the authorities had come by helicopter to check if the tribe (the Sentinelese) had survived the tragedy. This man was trying to shoot down the device with arrows.